Enter your e-mail address to get updates straight to your inbox. Bryce Langston – from Living Big In A Tiny House – visits with Tamra, Jt, and their son Kalon Sage. They have land in Colorado and Texas and spend six months a year in Colorado and can spend the other six months exploring North America or living on their land in Texas. Many communities have legal limits for how long you can live on your own land in a mobile dwelling like a tiny house on wheels, travel trailer, etc. In this particular Colorado location six months is the limit. Since raw land is relatively inexpensive and their bus conversion is self-contained, they can simply afford to travel or spend half the year at their place in Texas. This is an excellent option open to many tiny house on wheels owners. Jt works from home in a small shed home office steps away from the bus. Tamra is currently busy as a full-time mom. This alternative lifestyle gives them time to be home with Kalon Sage and the mountain location gives them a great natural setting to raise their son together. In the video below they report that their bus conversion cost them just under $20,000 – not including labor. In the construction they used a lot of up-cyced materials like cabinets & countertops from a kitchen remodel, wood framing, and interior sheathing. Tamra wanted a large kitchen and Jt wanted a wood stove – so they built exactly what they wanted. The bathroom is split in two with the hall to the bedroom between the Nature’s Head composting toilet and stainless steel shower. The bedroom in the back has the same queen size bed they had in the 2,000 square foot home from which they downsized. 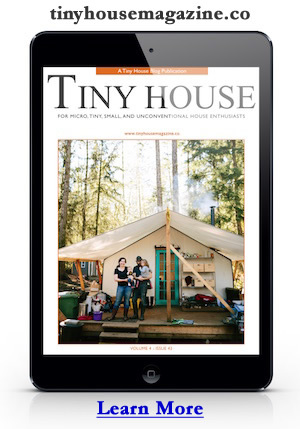 For more great tour videos like this subscribe to Living Big In A Tiny House on YouTube. To learn more about Tamra & Jt’s story visit the School of Life website. This entry was posted in Success Story, Tiny Living and tagged alternative lifestyle, Bryce Langston, bus conversion, colorado, JT, Tamra, texas, up-cycled. 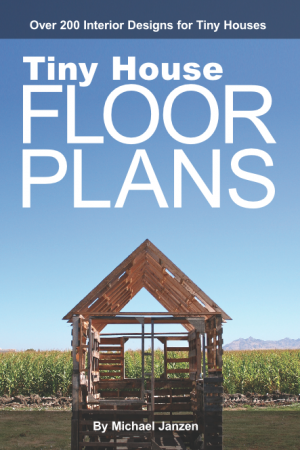 So… You Want to Build a Tiny House? What size truck do I need to pull a Tiny House? Van vs Bus – Which is Better? Comments are encouraged but please keep it constructive and do not make any direct attacks on other commenters. In other words constructive critique is welcome, destructive mean-spirited judgements are not permitted. If your comments consistently or intentionally make this community a less civil and enjoyable place to be, you and your comments will be excluded from it. If you spot any comments that do not meet these policies please report it. Many comments are pre-moderated. We reserve the right to delete any comments and block any commenters. The contents of this website are provided for informational purposes only and should not be construed as advice. While all information shared here is believed to be accurate, the owner/operator of this website specifically disclaims all warranties expressed, implied or statutory, regarding the accuracy, timeliness, and/or completeness of the information contained herein. Please discuss any specific needs with a qualified professional.